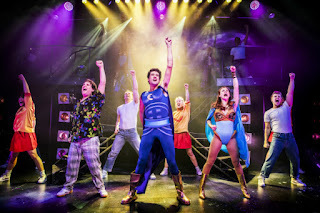 I am not usually that interested in superheroes but was strangely attracted to see Eugenius, a new musical by Ben Adams and Chris Wilkins, even having endured Bananaman – the less said about that, the better! 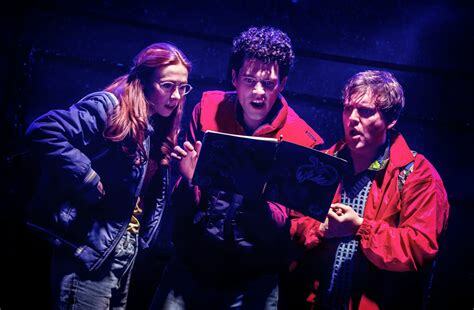 I must say I think the marketing for this show has been particularly good and hats off to producer Warwick Davis whose enthusiasm for the piece has been particularly contagious. 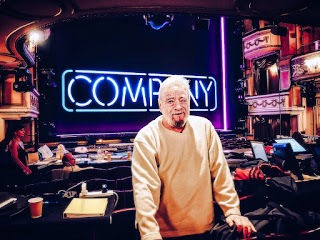 Having seen a preview, I went back to see it again and must admit it is a brilliant show and guaranteed to lift the spirits, even in the face of the winds and snow from the Beast from the East! So, see it again, I did, and was not disappointed! Far from it! 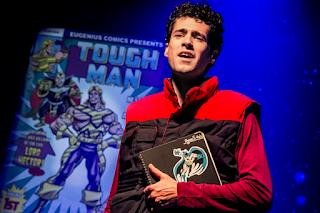 The show is firmly rooted in the 1980s, and apart from a very upbeat and totally infectious score by Ben Adams and Chris Wilkins, I think the strength of the piece is rooted in the brilliant book. It is hilarious with lots of affectionate nods and references to so many different genres of films, musicals and TV shows. 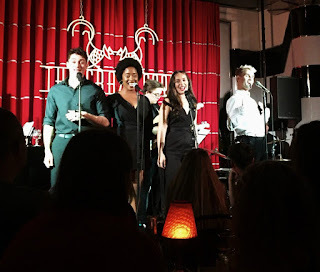 There were definitely some smart laugh-out-loud moments. The director, Ian Talbot, and choreographer, Aaron Renfree, have also crafted a show with tremendous pace and energy which the super-talented ensemble embrace with gusto, without which I do not think the show would succeed. 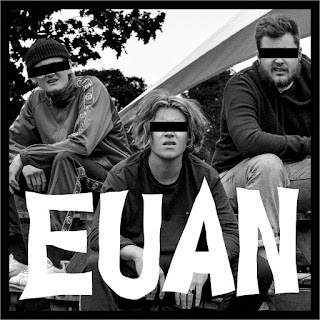 Clearly, the success depends on the excellent ensemble, but there are standout performances from Liam Forde as Eugene, super geek and ultimately superhero in waiting, his best friend, Feris, played by Daniel Buckley and Scott Paige as Theo, a funny camp Mr Fix-it for a dodgy Hollywood producer. Above all the show works so well because the entire ensemble work with relentless energy throughout and entirely engage the audience. It becomes virtually impossible not to be enveloped in their enthusiasm. 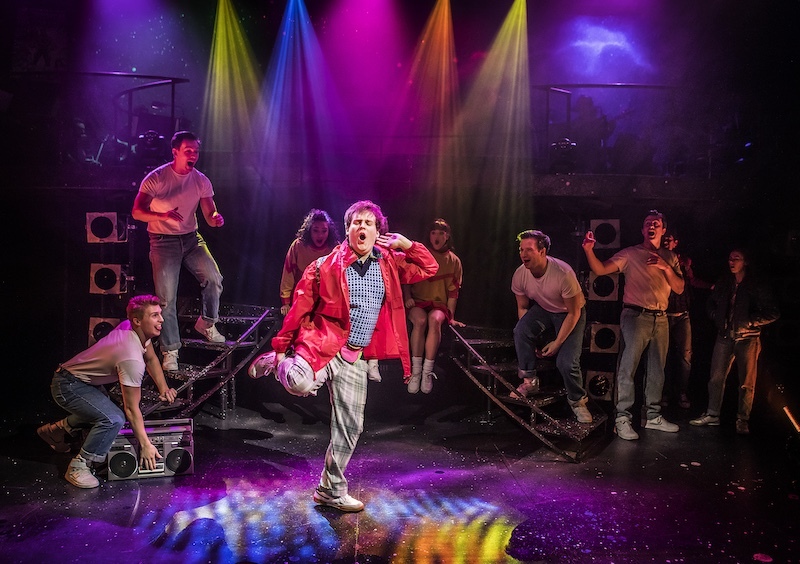 Sadly there are only a few performances left to catch the show at the Other Palace, but I feel sure that Eugenius will have a long life - and well-deserved too! 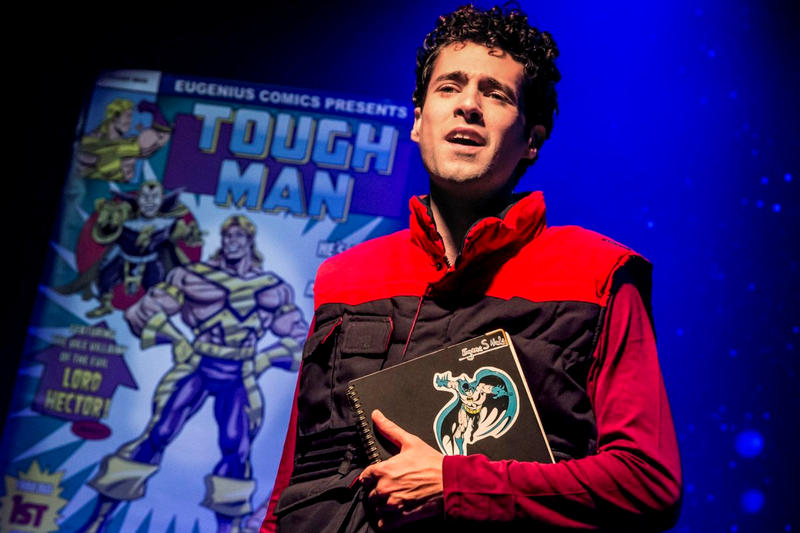 #Go Eugenius!